The Osage Nation’s Gaming Enterprise is another step closer to offering live roulette at the Tulsa Osage Casino Hotel after the Nation’s Gaming Commission approved two sets of game standards on March 6. Currently, there is an electronic roulette machine for up to eight players in the Tulsa casino and plans are underway to start with one roulette wheel at the Tulsa casino at a later date. The three-member ON Gaming Commission Board unanimously passed two sets of standards for playing roulette in the casino during their March meeting in Pawhuska. Those roulette standards approved are the Tribal Internal Control Standards (TICS) and System of Internal Control Standards (SICS), which include the game rules, requirements and policies to carry out implementation. Gaming Commission Director Elizabeth Hembree said the standards were reviewed by legal counsel, ONGC staff and included input from the Gaming Enterprise as well before the board approved the standard sets in two separate motions. Hembree said work on the TICS and SICS covered a several-month span before they were presented for final approval at the board meeting. “We’ve had information submitted from the Enterprise, all that information has been put together in Tribal Internal Control Standards. The Enterprise has also already done their SICS, which is the policy and procedures … We’ll also seek (the board’s) final approval on the SICS, which have also been reviewed by our SICS team and our attorneys. 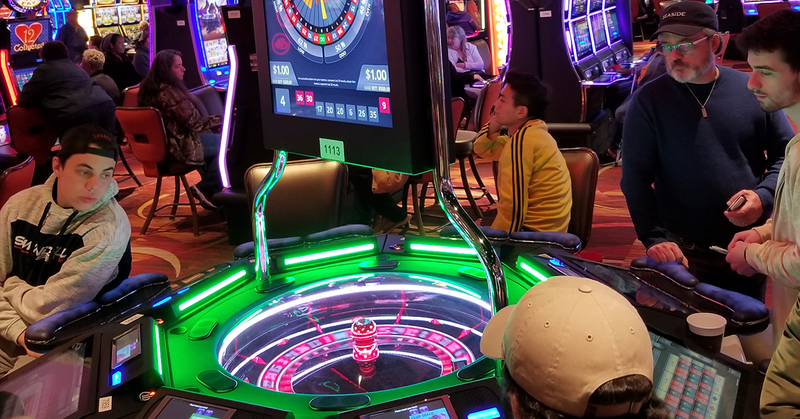 They will be legally prepared to go ahead and set the wheel in motion – no pun intended – for roulette to begin at Osage Casinos,” Hembree said. Gaming Commissioners Michael Kidder, Larraine Wilcox and Gary Weyl voted unanimously to approve the standards. The approved roulette standards for Osage Casinos comes nearly one year after Oklahoma lawmakers approved a state law allowing ball and dice games at tribal casinos, which covers roulette. After the state law passed, the ON Congress approved amendments to the tribe’s gaming compact that would allow ball and dice games at Osage Casinos during an August 2018 special session.